SIN AND SUFFERING: There’s no direct connection between them in THIS life, but there WILL BE a direct connection the next. There is no direct connection between them in THIS life, but there will be a direct connection in the next. I’m talking here about sin and suffering. In their minds it was a simple case of cause and effect: this man’s personal sin (or the sin of his mother and father) was the cause, and his blindness was the direct and logical—and unavoidable—effect. This, you will recall, was also the attitude of the three friends of Job, who came to “console him” after he lost his possessions, his health and most of his family in one single day! Ostensibly they came to give Job some consolation in his suffering and pain, but for the most part all they ended up giving the poor man was a lot of grief, by telling him over and over again that he must have done something terribly wrong to bring this kind of tragic situation upon himself. But the story makes it quite clear that Job was a devout and upright man who loved God deeply, and who consistently did the right thing in his life. Perhaps the disciples of Jesus hadn’t read the book of Job in awhile. Or perhaps they had forgotten one of the most important lessons of that book, namely, that sometimes good people suffer terribly—and not because of their sins! Eventually, as we all know, the disciples would learn this particular lesson through Jesus himself, who suffered more than anyone else, even though he never committed a single sin in his entire life. Now I’ve heard many homilies and talks on today’s gospel story over the years, and almost all of those homilies and talks have focused exclusively on the point I just made with you: that there’s no direct connection in this life between a person’s sin and their suffering—although it should be added that sometimes we can experience a particular suffering because we’ve committed a certain sin (for example, a person robs a bank, then gets caught and goes to jail. He suffers in jail because of his sin; because he stole; because he violated the seventh commandment). 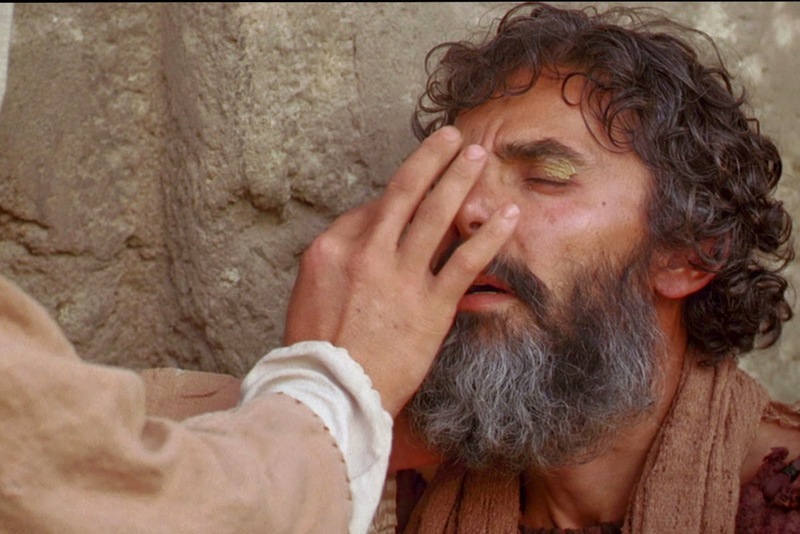 Yet, as was the case in today’s gospel for the man born blind, very often suffering comes to us for no apparent reason. Like it or not, that’s just the way it is; that’s the way it is during our earthly lives. But that’s not the way it will be in eternity (and this is the point that I’ve very rarely heard made in other talks and homilies). 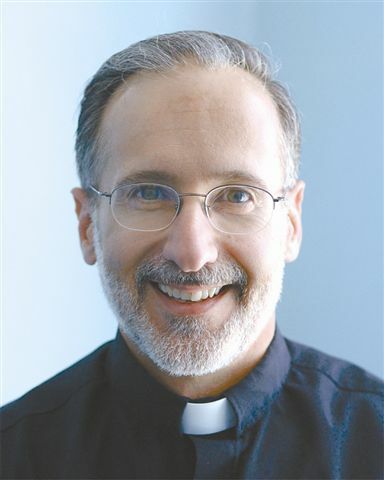 As I said at the very beginning of my homily this morning: There is no direct connection between sin and suffering in THIS life, but there will be a direct connection between them in the next! Of course the good news is that God has given us the means to deal with this situation. Because of the sacrificial death and resurrection of his Son, we can receive forgiveness for any and every sin we commit after Baptism—right now, before we die—in and through the sacrament of Confession. I’m going to give that job to Pope Francis! The Holy Father gave a great teaching on the importance of Confession at his Wednesday audience on the 19th of February this year. I’ll close my homily today by quoting a few of the things he said in his brief address that day. Remember, my brothers and sisters, that there will be a direct connection between our personal sins on this earth and whatever suffering we may experience in the next life—either the temporary suffering of purgatory, or the eternal suffering of hell. 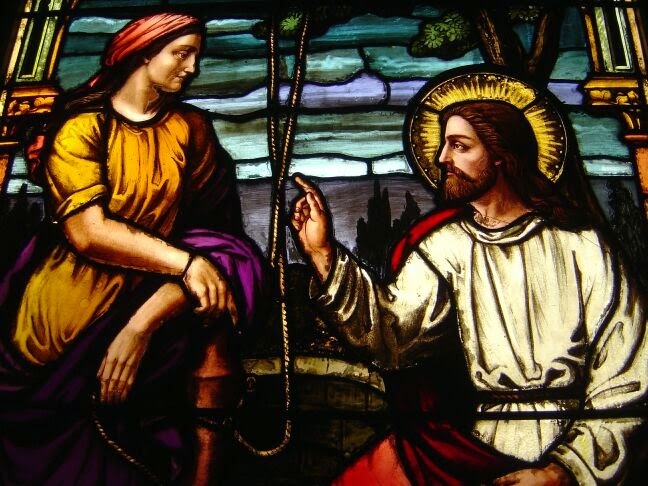 But the good news is that Jesus Christ, our Lord and Savior, in and through the sacrament of Confession, breaks that connection! And the really, really good news is this: with respect to those sins that we repent of and confess, Jesus breaks the connection forever! She Left Her Water Jar . . .
You might say that that’s a very small detail in a very long gospel story, but I also consider it to be a very important detail (so important, in fact, that I’m going to build my entire homily today around it!). Now why did she do that? From one perspective, at least, it makes no sense. This Samaritan woman had come to Jacob’s well to obtain some water, presumably for her daily needs. Lest we forget, people couldn’t just “turn on the faucet” back then. They first had to find fresh water somewhere (which wasn’t always easy). Then they had to carry that water in some type of container back to their home or to wherever they intended to drink it or use it (which also wasn’t easy). So what this woman intended to do—get the water she needed for her daily life—was very important. But then she met Jesus, and her priorities changed! And that’s the point I want to drive home in this homily: her encounter with Jesus Christ, her personal interaction with the Savior of the world, was so transforming that this extremely high priority in her life (obtaining water for her needs) suddenly became a secondary priority—which, I believe is precisely why St. John mentions this otherwise “small detail” when he tells the story. All of a sudden, getting water from that well and bringing it back home was not so urgent. It could wait. It could wait while she proclaimed the message about Jesus to her fellow Samaritans. And what’s really interesting is that her encounter with Jesus was not initially a pleasant one. In fact, it was anything but pleasant! Our Lord tells her, in effect, that she’s spiritually way off-base in her ideas, and that she’s an adulteress several times over! But, to her great credit, she doesn’t get angry and she doesn’t walk away; nor she does she close herself off from the truth. Rather, she accepts the truth that she hears from the mouth of our Lord and she responds to it in faith. In that, she should be a great role model for all Catholics. How many Catholics hear the truth proclaimed to them (for example, in a particular homily)—the truth that convicts them of their sin—and then get angry at the priest, tune him out, and refuse to change their lives? I dare say, it happens a lot. I know I’ve even done that a few times in my own life. The Samaritan woman—at least on this occasion—did not close herself off from the truth of the word of God that came to her through Jesus. And that courageous acceptance of the truth (even when it hurt!) changed her priorities—and her entire life! This, then, is one of the signs of a living faith. This is one of the external signs that we’ve really met the Lord in a personal way in our life: our priorities get readjusted, sometimes radically so. Faithfulness to Mass all of a sudden becomes more of a priority for us than getting an extra hour of sleep on a Sunday morning. It becomes more of a priority than participation in a sport or some other social activity that we like. And it becomes that kind of a priority even when we’re on vacation! Daily prayer becomes more of a priority than reading the newspaper, or the latest bestseller—or watching our favorite television program. Working at making our family holy and loving becomes more of a priority than making more money than we really need. 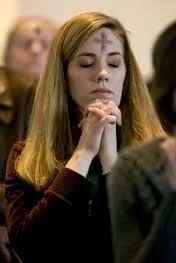 Going to confession becomes more of a priority than going out to dinner or a movie. Helping the poor and needy becomes more of a priority than buying a lot of extra things that we really don’t need. Standing up for the sanctity of human life becomes more of a priority than standing up for the protection of animals (although, as St. Francis of Assisi would remind us, the latter is certainly not a bad thing). Learning about God and our Catholic faith becomes more of a priority than learning a lot of useless information on Facebook. Those are just some of the priorities that surface in a person who truly knows the Lord. I was reminded of this a couple of weeks ago when I was on vacation. Fr. Brian Sistare and I went to Orlando, Florida, just before Lent began. It was either “go to a warm place” or “go skiing,” and we decided to “go warm”—for reasons that should be obvious to anyone who’s lived in New England this winter. And we got the most out of our time down south: we went to SeaWorld; we went to Disney’s Animal Kingdom; we went to Busch Gardens; we went to an Orlando Magic game; we went to an Atlanta Braves pre-season baseball game; we played mini-golf at least a dozen times (Fr. Brian loves to try to beat me in mini-golf. Thankfully he failed most of the time on this trip!). We even got to see Sr. Dorothy Sayers. Many of you will remember Sr. Dorothy. When I first came to St. Pius in 1988, she was the principal of our school. Now she runs a huge Catholic grammar and middle school in Orlando. It was great to see her after so many years. The reason I mention all this today is because of what happened on Saturday (the day we went to Busch Gardens). Busch Gardens is located in Tampa—about an hour and a half away from where we were staying in Orlando. We found out on Friday that we could take a shuttle bus on Saturday morning—for free—from SeaWorld in Orlando to Busch Gardens. Well, that sounded a lot better to us than driving for an hour or more in heavy traffic and then paying an exorbitant fee to park our rental car. So we decided to take advantage of the free ride. The only issue was what to do about Mass and our holy hour. You see, on every other day of our vacation, we had gotten up when felt like it (which usually wasn’t very early!). Then we had celebrated Mass, made a holy hour, and gone off for the day. But the shuttle to Busch Gardens was only available once, at a relatively early hour of the morning. There were no later buses for us to take. That meant, of course, that we had to get up an awful lot earlier than either of us wanted to get up while on vacation! Now I’ve known Fr. Brian for about twenty years. 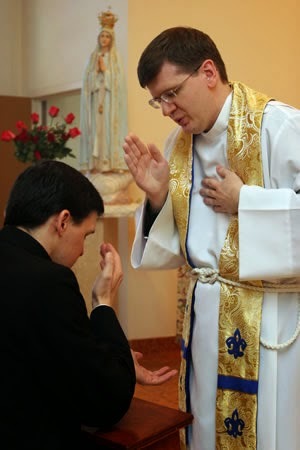 Had he gone to Orlando two decades ago, when he was living what might be called “a rather worldly lifestyle” as a college student at U.R.I., I sincerely doubt that it would have been a priority for him to receive the Eucharist and make a holy hour every day. I could be wrong about that, but somehow I think that way back then sleeping in, taking it easy—and a few other things—would have trumped getting up extra early to pray and adore Jesus Christ! But priorities change—sometimes a lot—when you actually meet the Lord in your life. As the Samaritan woman and Fr. 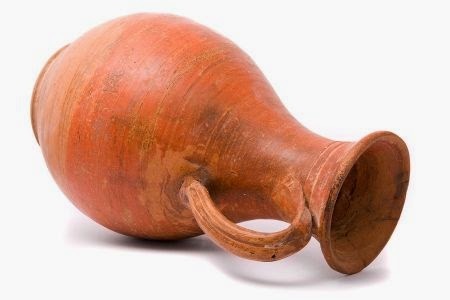 Brian would tell you, the “water jars” get left behind. And that, my brothers and sisters, is a very good thing. Fr. John Larson of the Marians of the Immaculate Conception led us in our parish Lenten mission this year on the Divine Mercy. To listen to Fr. Larson's talks, click on the links below. The Word for Lent: Detach!